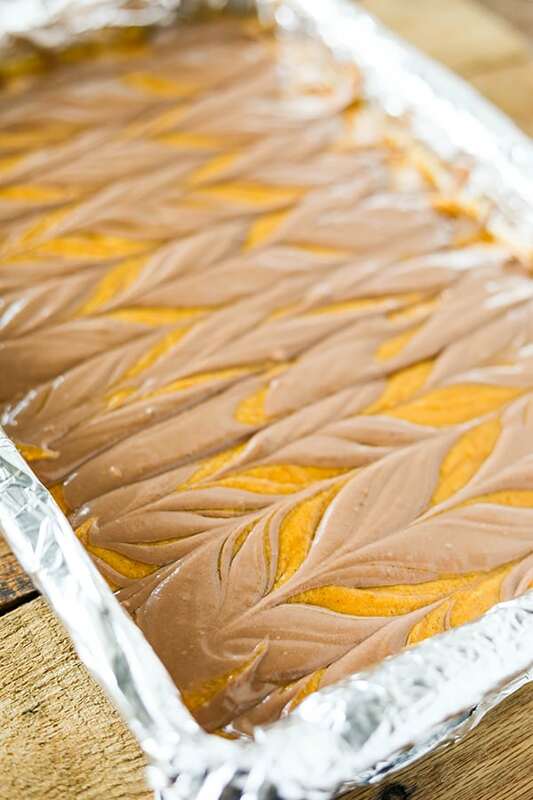 These Chocolate Swirled Pumpkin Bars are so delicious and absolutely perfect for fall. 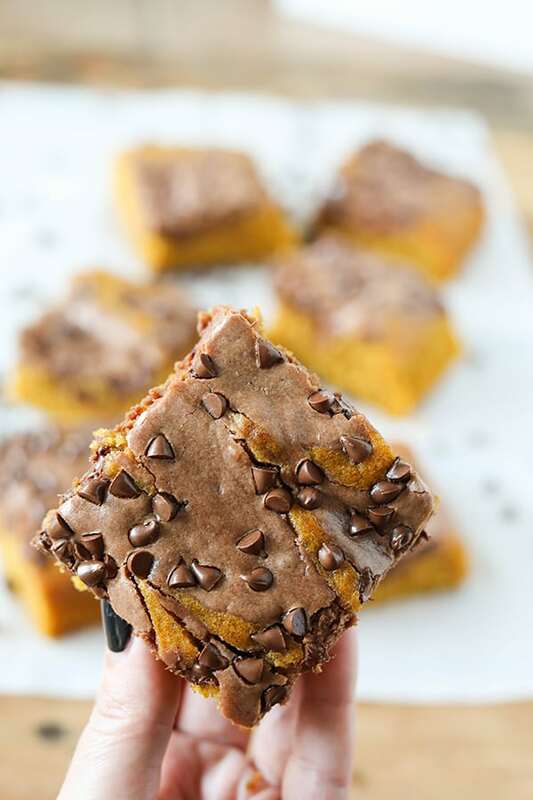 Soft spiced pumpkin bars with a velvety chocolate swirl, topped with mini chocolate chips! 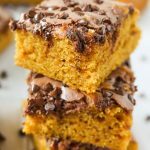 My whole family went crazy for these pumpkin bars and I’m very excited to share the recipe. 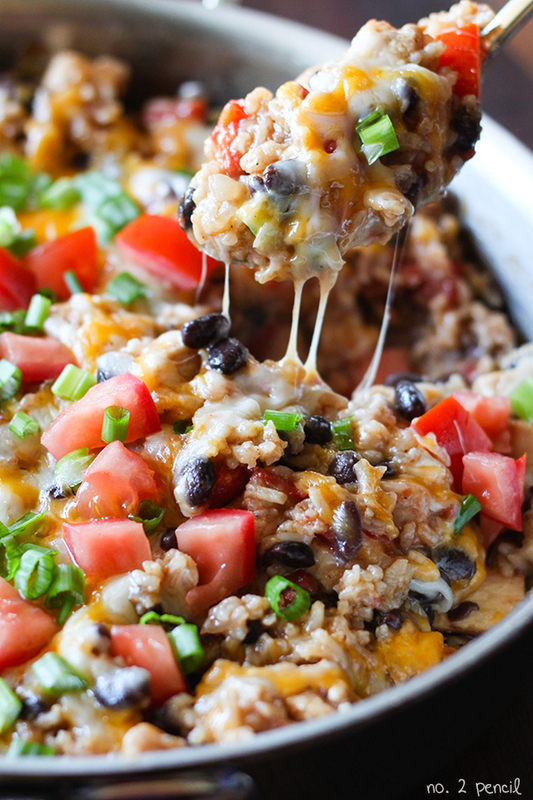 For this recipe, you’ll need a 15 x 10 x 2 baking pan, I used this one. 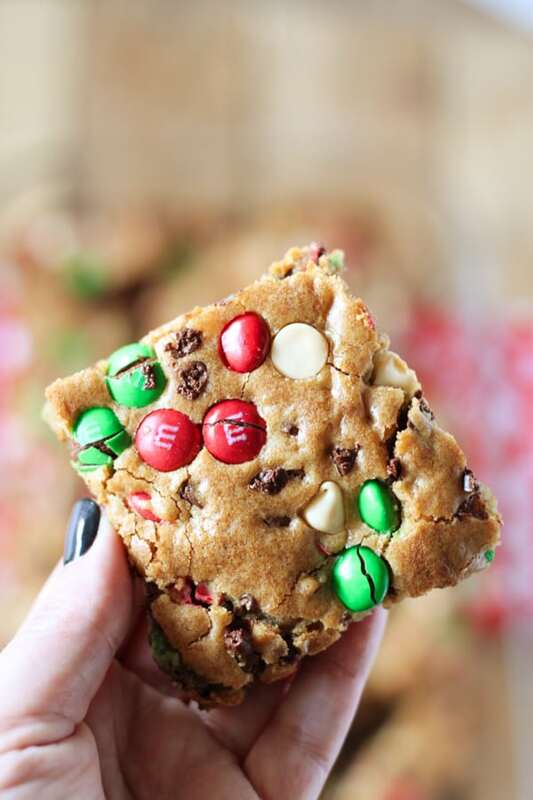 It’s a handy size to have for bar making and holiday baking! 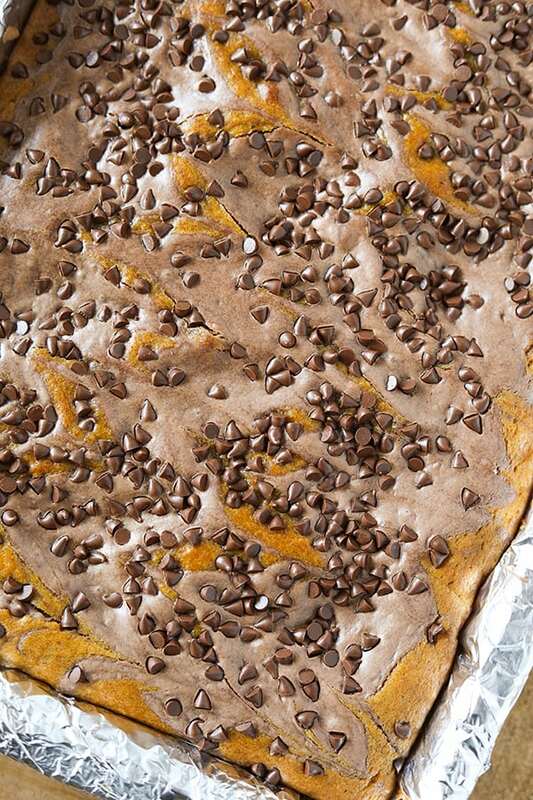 Start with a simple pumpkin batter, then swirl in the chocolate cream cheese mixture. Dot the top of the pumpkin batter with the chocolate mixture, then use a butter knife to swirl. Sprinkle with mini chocolate chips and bake. Let cool, mine cooled for a little over an hour. Then use foil to remove bars from pan and slice. Line a 10x15 baking pan with foil. 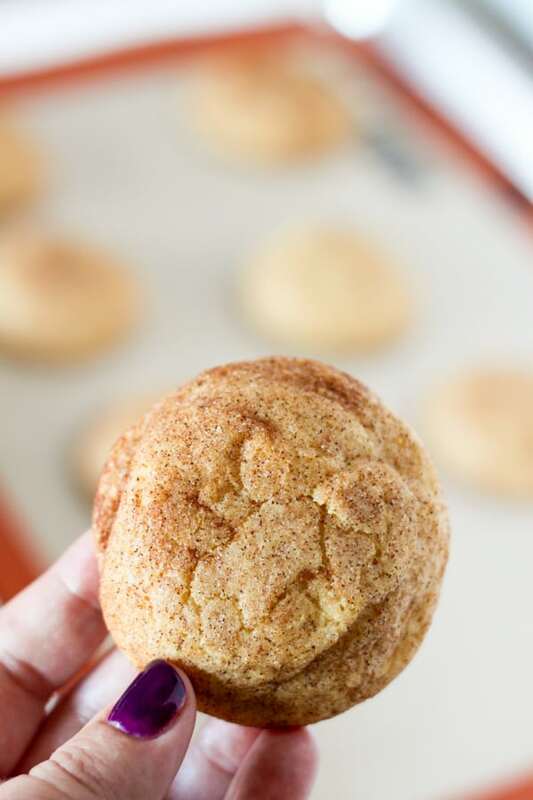 In a large bowl, whisk together flour, sugar, baking powder, baking soda, pumpkin pie spice and kosher salt. Stir in eggs, pumpkin and vegetable oil. 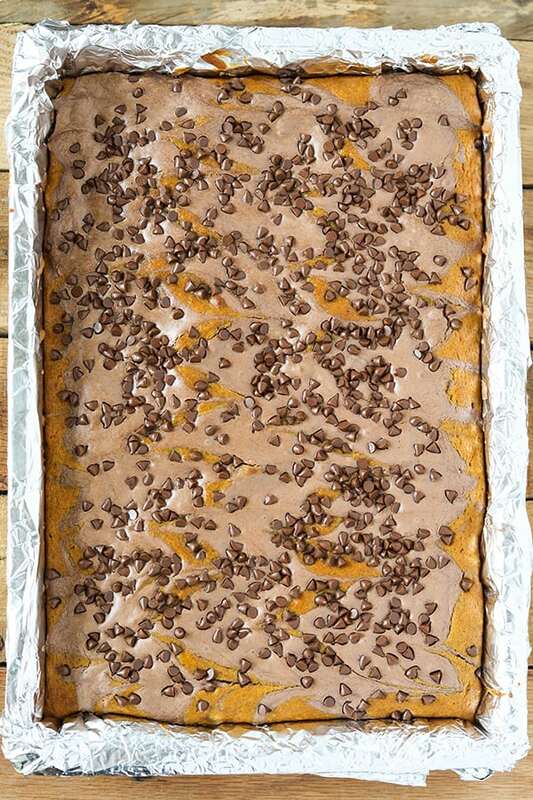 Pour batter into foil lined baking pan. Melt 1/2 cup of the mini chocolate chips. In the bowl of a stand mixer, beat together softened cream cheese, sugar, egg, milk and melted chocolate. 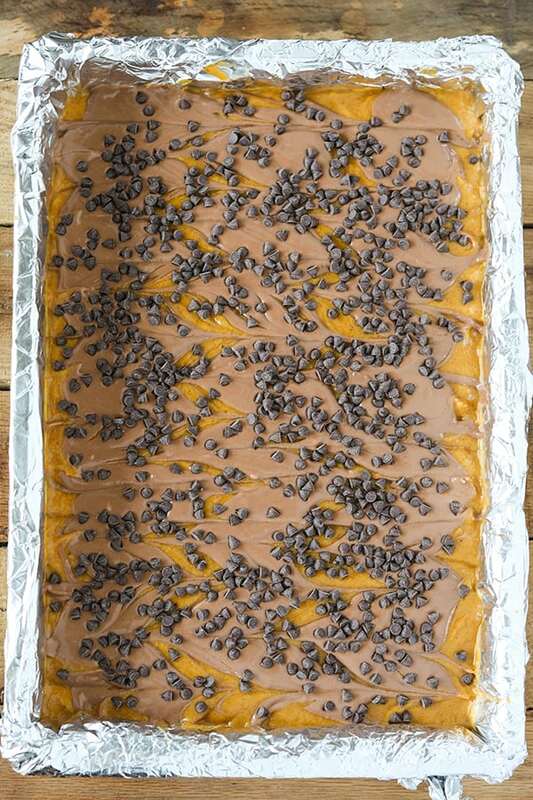 Dot pumpkin batter with chocolate cream cheese mixture and use a butter knife to swirl. Sprinkle remaining 1/2 cup of mini chocolate chips over batter. Bake for about 25 minutes until toothpick inserted in center comes out clean. Let cool, remove using foil lining and cut into bars. 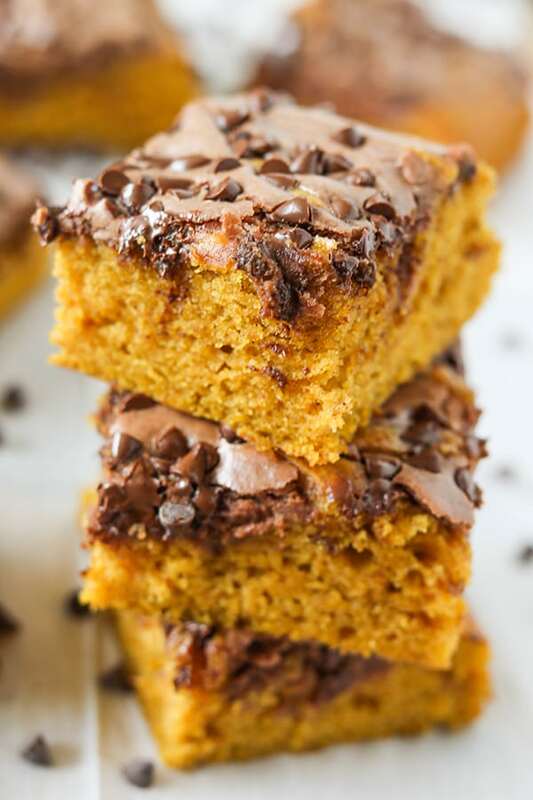 These bars are soft, like pumpkin bread. To cut them, I found it easier to cut straight down with a long knife and not slice and pull through the bars. Wipe the knife clean before the next cut. If using table salt instead of kosher salt, reduce measurement to 1/2 teaspoon. Honestly, these were even better the next day, so I think they are perfect for making ahead!